I saw this on another blog and was inspired. Wouldn't it be fabulous to wake up in one of these rooms? Oh my goodness, I love this! I love all your pics. My turn!!! Great pictures - I just might have to do this one day. :) I can TOTALLY see you living in that super cute pink row house! Ummm...I think I would TOTALLY have to live in that pink row house! These are such inspiring pics! I would totally pick everything you picked! 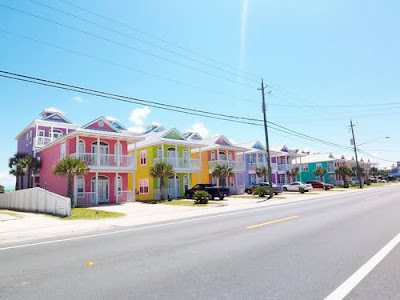 i love the colored houses!!!!!!!! haha and the dog sitting on the ottoman!! :) very cute!! 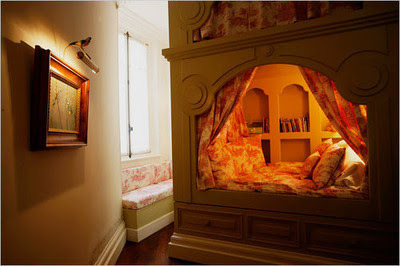 I have always wanted a bed nestled into the wall! So cozy! gorgeous, i want it all. I love all of that! Omg, can I live in the green one?! I enjoy walking around downtown Charleston and admiring all of the pretty houses and dreaming of living in them...ahhh, one can wish, right? I would love to do my makeup in the pink chair! And those pink bedrooms are so cute -- my husband would never go for them, though! This goes right along with my post today...I would love to live in the 1940s and have the style that women of those days possessed! 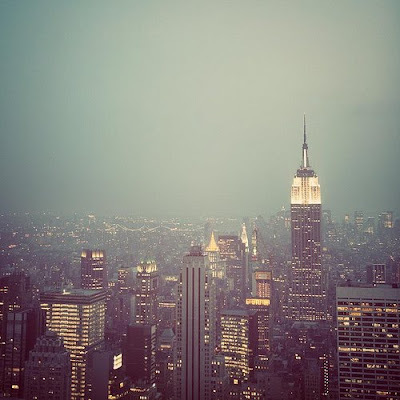 I would love to live in one of those houses! I'll take any of them :-) Just seems like such a happy place to live. Love the bedrooms as well!! I left you something over @ my place!! I would love to be in that wardrobe picture, if only to play with that little dog lol! yes, yes and yes! Loving your eye for beauty!